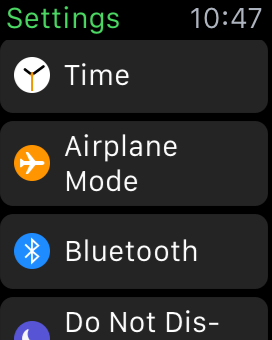 You can sync music to your watch. You can then play that music over a bluetooth speaker or headset. 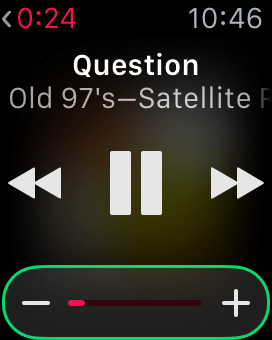 To configure that speaker or headset, open the Settings app on your Apple Watch. Then tap on Bluetooth. 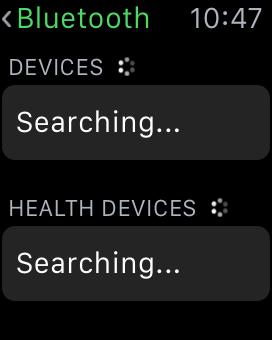 From the Bluetooth screen, the watch will search for devices and then list any devices located. Speakers and headphones both seem to appear as headsets rather than show their Bluetooth identifiers. When it opens, tap on the device name. Once you’ve configured a speaker, open up the Music app from your home screen. Then play music. Enjoy.